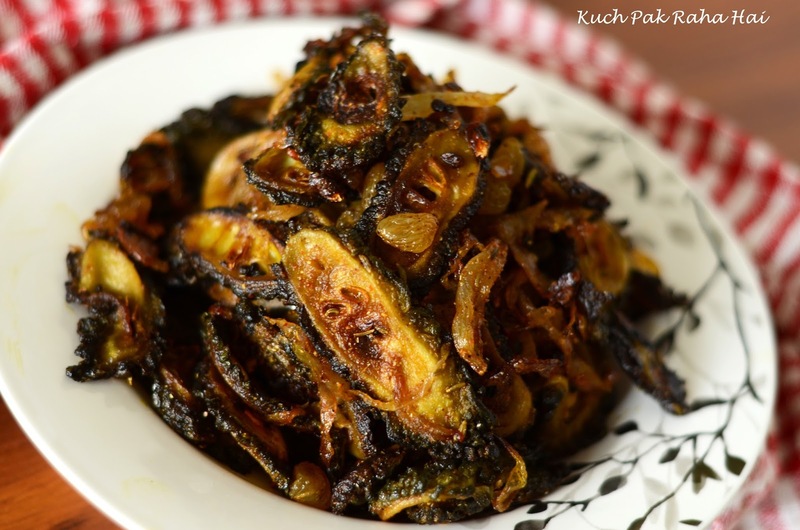 Crispy karela is a crunchy flavourful dish eaten as a side dish with Indian meals. 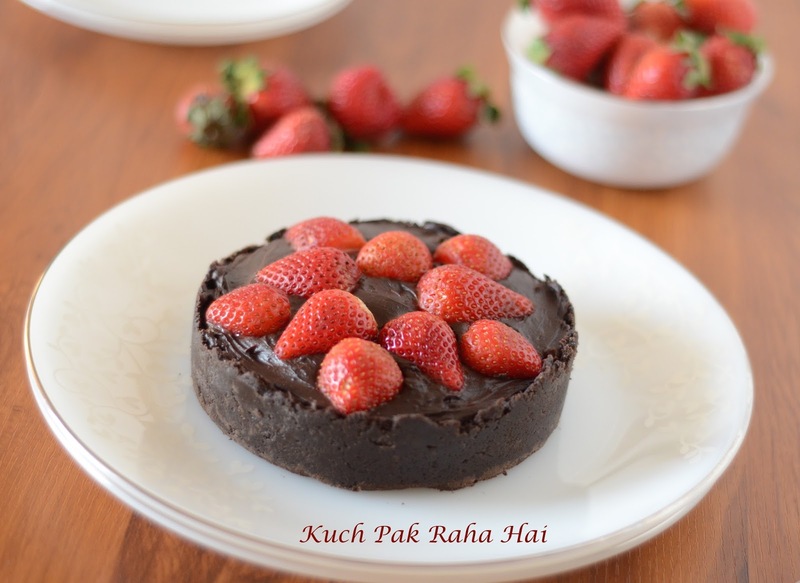 It is not only tasty but healthy too. In today's post, I am going to share Crispy Karela recipe. 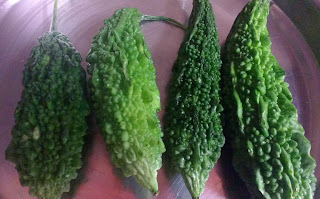 Karela is known as bitter gourd in English. Karela is rich source of antioxidants, aids in digestion, acts as a blood purifier (thus beneficial for skin too) and beneficial for constipation patients too when consumed regularly. Many people dislike Karela or bitter gourd because of its bitter taste. 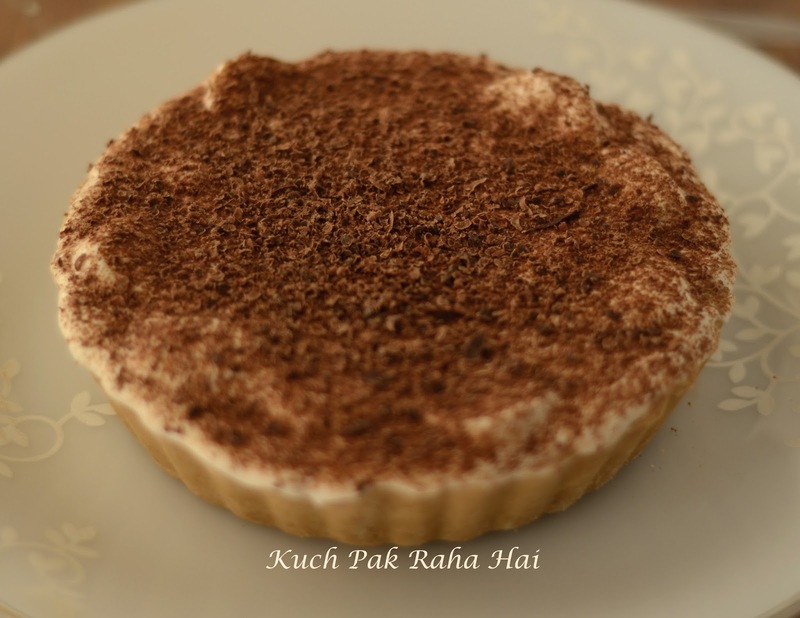 Personally, it is one of the recipes in my favourite list. 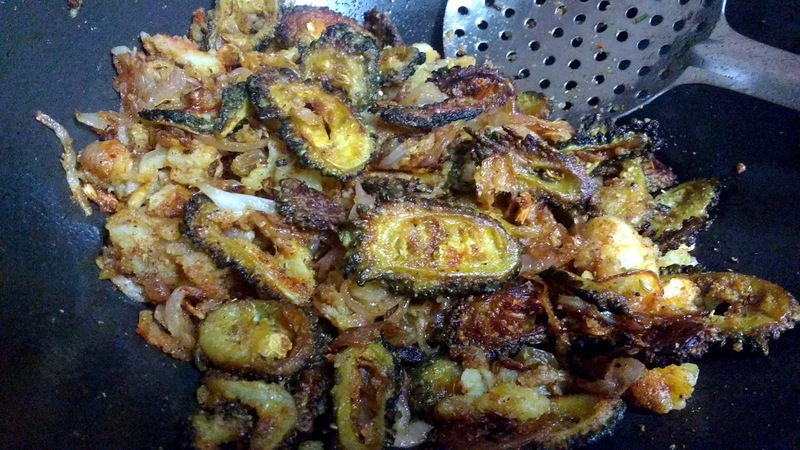 This is my mom's Crispy Karela recipe which wonderfully balances the bitterness of karela with sweetness from raisins and caramelized onions. 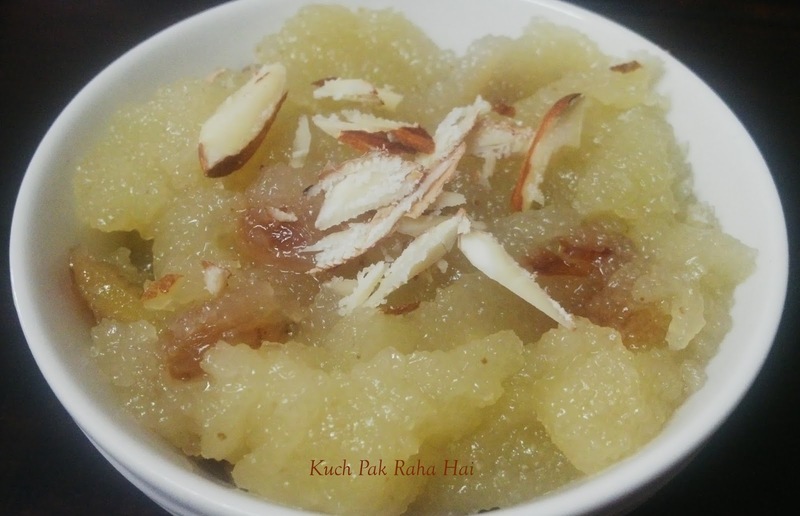 Apart from it, little amount of potato mash can also be added to it to counter the unpleasant taste from bitter gourd but it is totally optional. 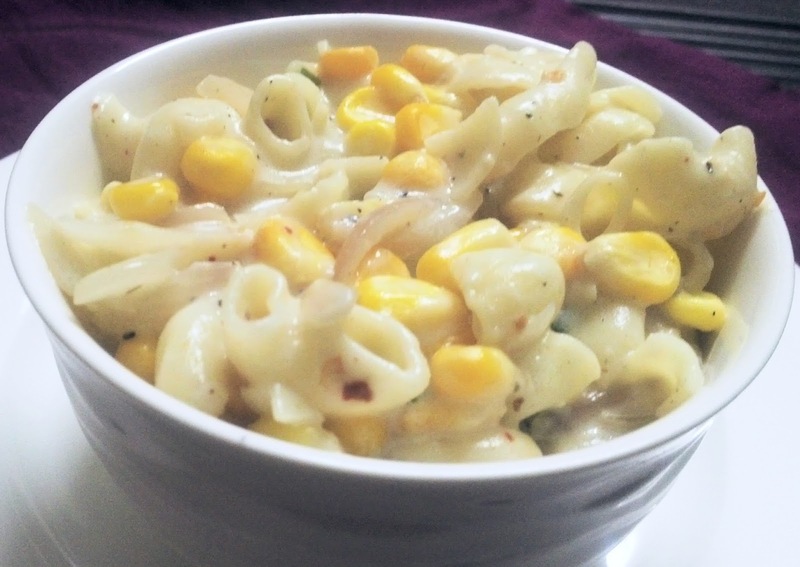 I would recommend adding potato to the dish if you are trying to make your kids eat this dish or for someone who is trying it for first time. 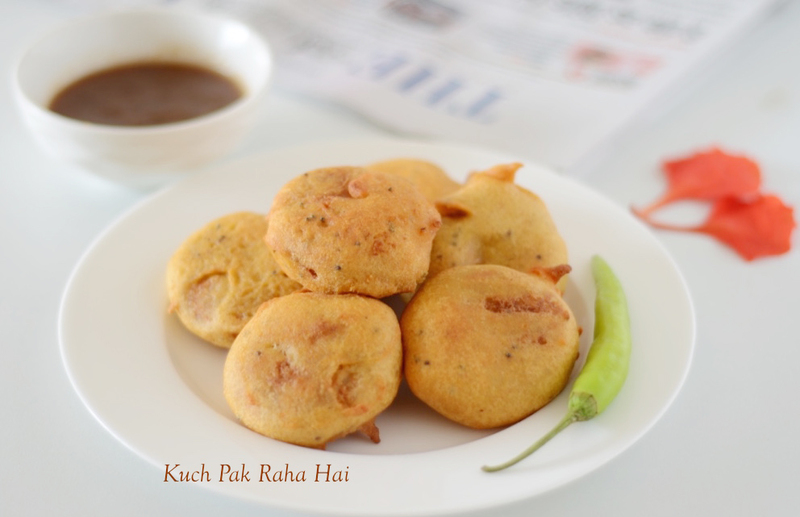 This dish is made specifically in Mustard Oil as it really suits the overall flavour combinations of this dish. 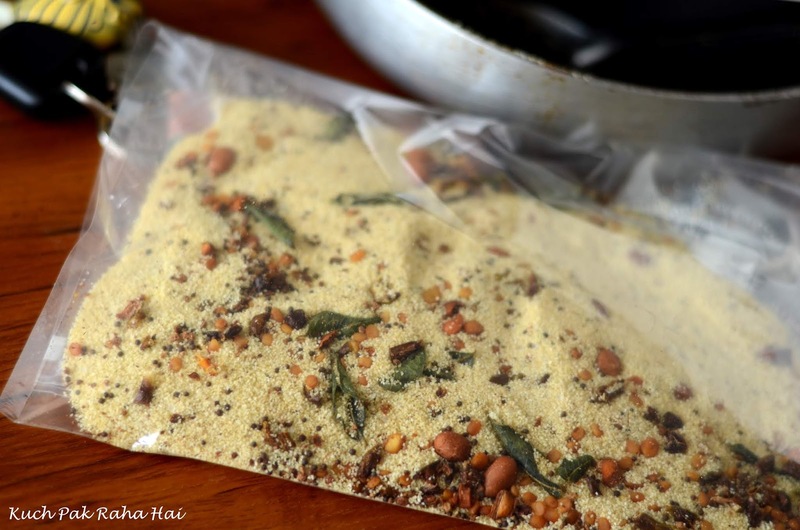 Apart from the usual spices like coriander powder, red chilly powder; fennel or Saunf powder is also added which imparts mild sweetness to the palate at the end of every bite. 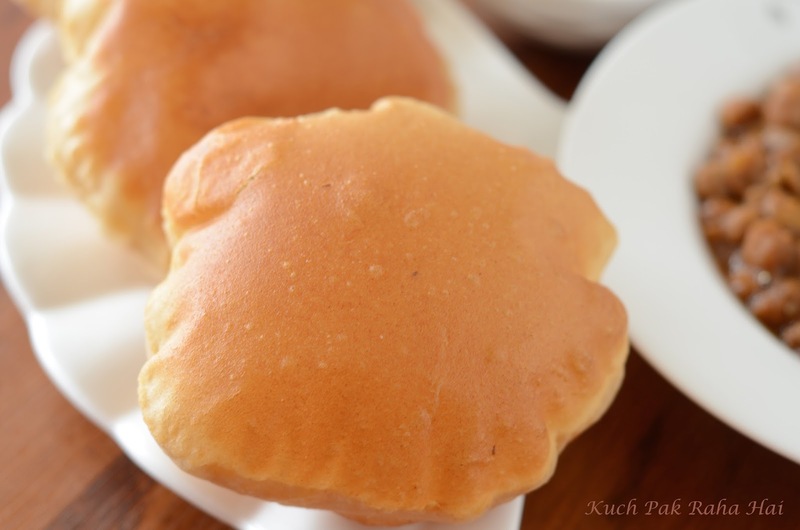 The recipe is quite simple and does not take much preparation time. 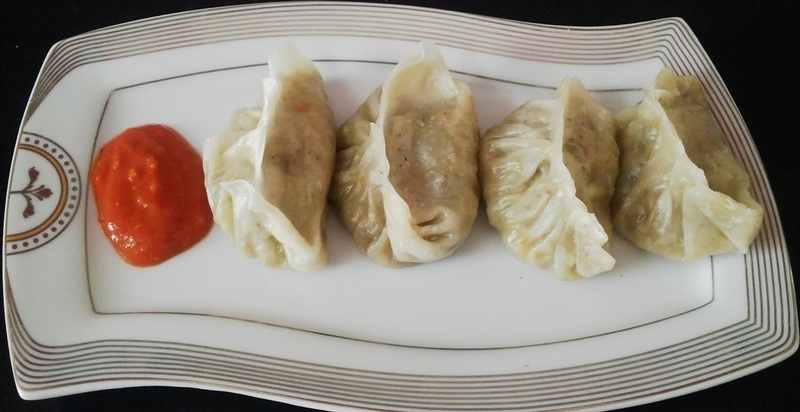 If potato is not added to the recipe, you can easily store it in refrigerator for 3-4 days (which is what I generally do!!). 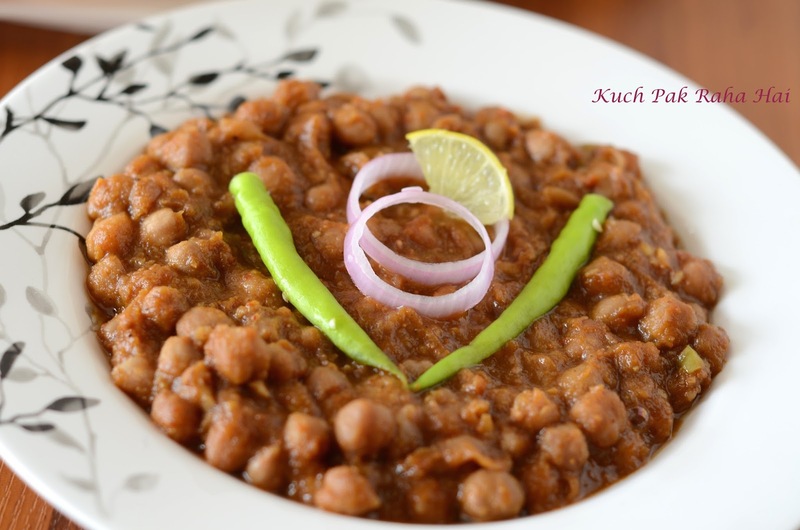 I eat with my regular dal-roti-curd meal and it tastes amazing. 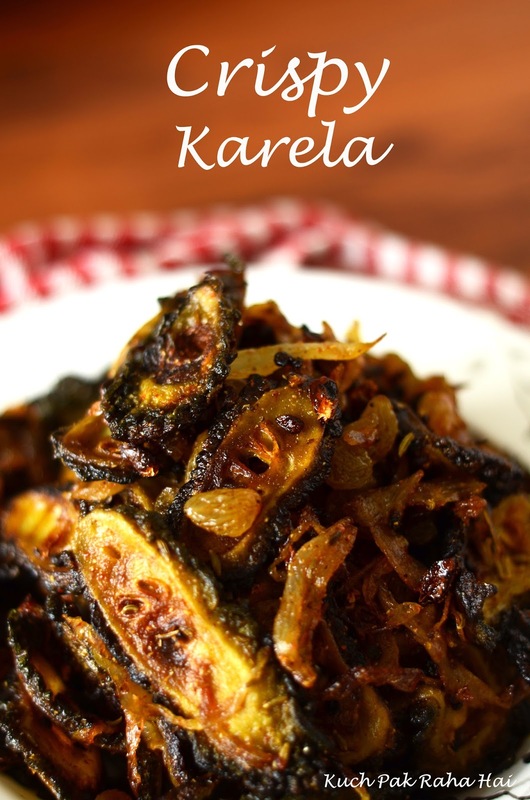 Hope you would like this Crispy Karela Recipe. Wash the Karele (bitter gourd) thoroughly. 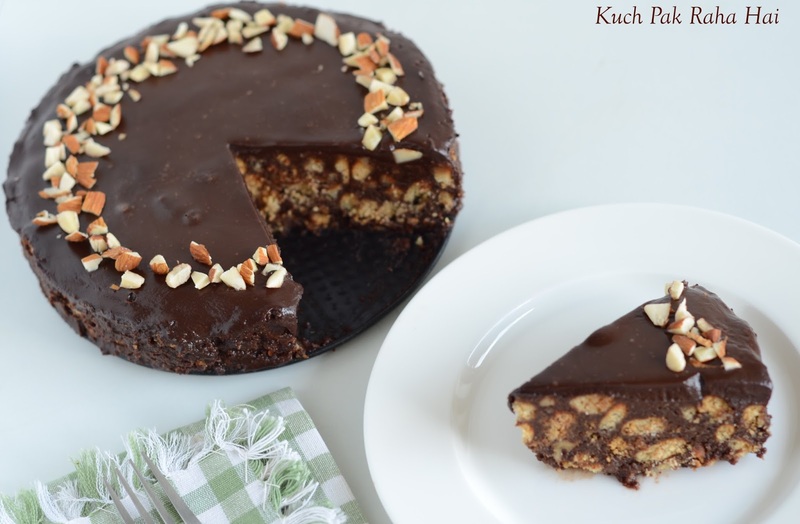 Slice them horizontally keeping the knife slightly angled so that you get elongated slices. Sprinkle some salt over it. Let it stand like this for half an hour. 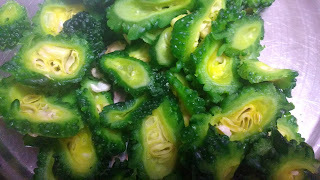 After half an hour you will notice that karele slices have started releasing water. 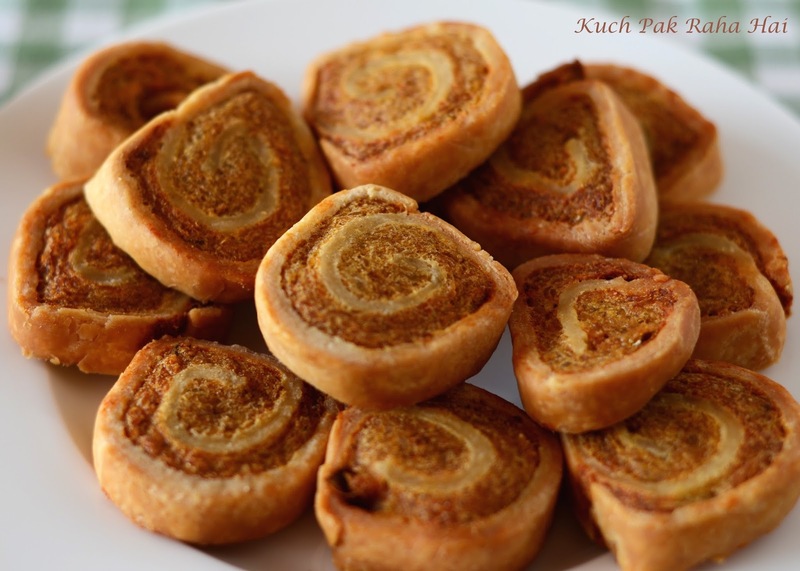 Wash the slices under running water and squeeze them using hands or wrap them in kitchen cloth and then squeeze. 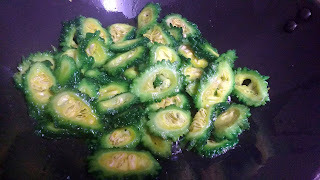 This step is necessary for removing the bitterness of bitter gourds (Karele). Keep them aside. 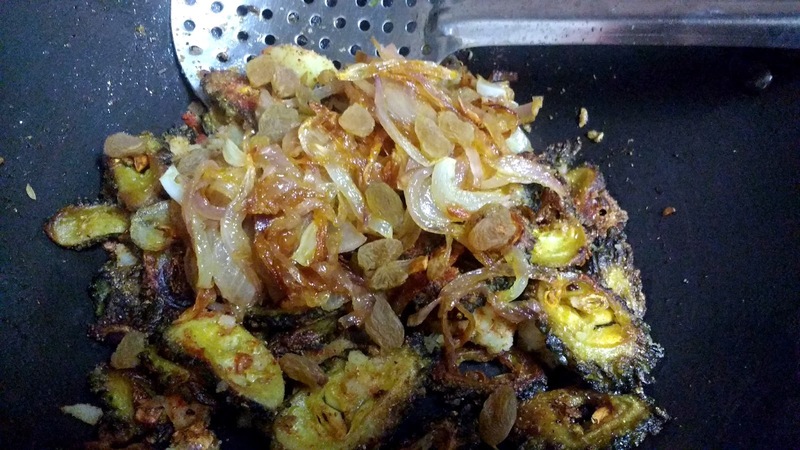 Heat mustard oil in a heavy bottomed pan. Cut the onion into half and chop into fine slices. When the oil is hot add onion slices to it. 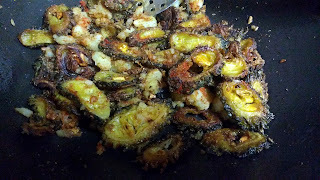 Let them fry on medium-high flame till there ends start turning brown. Stir them in between. 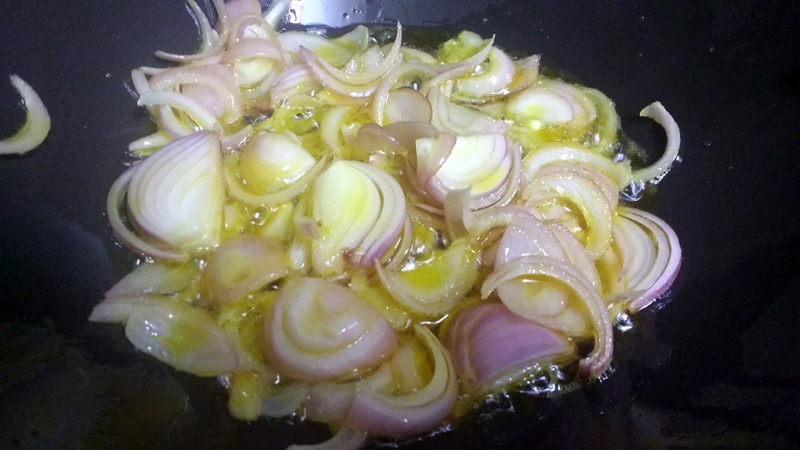 When the onions start turning golden brown, take them out of pan and place them on a tissue paper. Keep these fried onions aside. 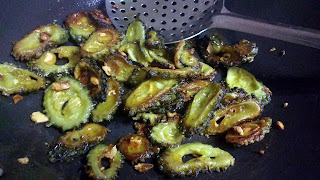 In the same oil, fry the bitter gourd slices on medium-high flame. When the slices start turning brown from edges, turn the heat to low. Let these slices become crisp on low flame. Mash the potatoes roughly using hands or knife. Once the karela slices turn crisp, add this mashed potato to it. Add salt and all the spices to it. Mix well. Let it roast for 1-2 minutes. Add the fried onions and raisins (kishmish) to it. Mix well once again. After cooking for 1-2 minutes more, turn off the heat.